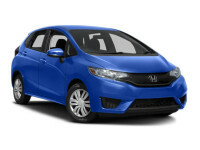 If you’re wanting to lease a Honda but aren’t sure which model to go for, we’re making things easy on you! 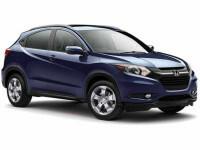 We have every new model Honda made, so you can compare them easily. From the Accord Hybrid Sedan, Accord Plug-In Hybrid Sedan, Accord Coupe, Accord Sedan, Civic Coupe, Civic Hatchback, Civic Hybrid, Civic Natural Gas, Civic Sedan, CR-V SUV, CR-Z Hatchback, Crosstour Hatchback, Fit EV Hatchback, Fit Hatchback, HR-V SUV, Insight Hatchback, Odyssey Minivan, Pilot SUV, to the Ridgeline Crew Cab, whichever model you end up deciding on, we’ve got. Then again, we’ve also got every new model vehicle made by Acura, Audi, BMW, Buick, Cadillac, Chevrolet, Chrysler, Dodge, Ford, GMC, Hyundai, Infiniti, Jaguar, Jeep, Kia, Land Rover, Lexus, Lincoln, Maserati, Mazda, Mercedes-Benz, MINI, Mitsubishi, Nissan, Porsche, Ram, Subaru, Smart, Toyota, Volkswagen, and Volvo! As you can see, our inventory of new model vehicles is pretty outstanding. No other leasing companies can compare! And the same holds true when it comes to prices. Our leasing prices are the very lowest you’ll find (go ahead and look around! You’ll see!). Keeping leasing prices so low is something we’re able to do because we keep our overhead low, mostly by not having a physical car lot and all the property costs, property taxes, property insurance, utility bills, and other big costs that go with having one. Overhead costs are always handed down to customers, so by keeping our overhead low, we just don’t have big expenses to hand down to you. Now, don’t think you’ll be missing out on anything by leasing with a company that doesn’t have a physical lot! We’ve got something much, much better: a virtual lot, a lot that sits on the internet, always open, always ready for you to explore any time you want, 24/7. You won’t have to drive anywhere to get to our lot! You won’t have to call for a cab or ask friends or family for rides! You don’t have to leave your home at all! Just stay put, relax, and surf to our site to inspect all of our beautiful new model vehicles. Won’t it be nice being able to do some car shopping without a salesman behind you talking your ear off, rushing you, pressuring you, and, of course, steering you toward vehicles that do more for his bottom line than they do for your suiting your needs? If you’re looking around our virtual lot and have any questions, we’re a simple phone call away, happy to give you the answers you need. One of our main goals is to make the leasing experience as smooth and as easy on you as we can, and that’s something you’ll really see when it comes time for you to think about financing. We’ll deal with most of the boring, painful stuff – even handling most of that boring, mind-numbing paperwork so you won’t have to – and will deal with banks and other lenders directly, ourselves, to make sure you get a fair deal. Our goals for you include low interest rates, low monthly payments, and reasonable terms, and we’re good at getting them! We also have some decent luck in getting financing for people whose credit ratings aren’t that great. We’ve even been able to sometimes get financing for folks who’d already tried to get financing and were refused! So if your credit rating makes you think you’re out of luck, think again! We may well be able to help you! Don’t quit before you talk to us! Another way we make things easy for you is to make sure you won’t have to worry about how you’ll arrange to pick up your new lease when the day comes for you to take possession of it. We don’t want our customers bumming rides or calling cabs to pick up their new vehicles. No way! So, instead, we’ll deliver your new lease right to your home, office, or most anywhere else you name. Whatever makes your life easier. Just let us know! Just give us a call at 860-352-5599 if you have any questions for us! We look forward to meeting and talking with you! And we’d love to help get you mobile, driving around Connecticut, in a vehicle that suits your needs perfectly and that will fit your budget nicely!